Apparently, New Jersey's Stockton University has banned the use of the Galaxy Note 7 on campus due to safety concerns. The institution has homed in on the recent reports of its battery exploding and deemed the smartphone a possible danger to owners and ones around them. Therefore, it took "proactive measures" to assure that the university environment is safe and "free from a potential fire." All students and other people on campus were asked to turn off their Galaxy Note 7 smartphones. According Mr. Pedro Santana, Dean of Students at SU, students have been open to the safety measure, but realizes that leaving some people without a phone "isn't really good for them." 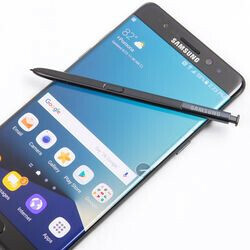 Nevertheless, Note 7 devices will continue to be banned on campus until all of them have been recalled and replaced. Just today, an exploding Galaxy Note 7 was allegedly responsible for another fire accident with a moving vehicle on a highway. The handset has been banned from several airlines and the New York's metropolitan authority as well. Hopefully, things will be back to normal when all handsets affected by the recall have been submitted for replacement. Sep 15, 2016, 2:56 AM, by Luis D.
Sep 14, 2016, 4:55 AM, by Cosmin V.
I feel really bad for Samsung now. propaganda strategy against samsung, relentless world, no matter who you are! Samsung, Apple or any other company! Propaganda...? WHOLE MEDIA is focusing on this matter, not much unlike VW Crisis... It's a SPICY STORY and everyone is trying to get a piece of it... I honestly can't blame PhoneArena and practically HUNDREDS of media houses and blogs for this EXTREME coverage... I mean, that's what I'd have done...! It's not PROPAGANDA mate... It's REAL and kinda "SURREAL" at the same time...! Search on Google's News. Everyone, specially Daily Telegraph and The Verge is onto this hot, SUPER HOT topic... Please, don't bury your head in the sand...! Look around you... There are evidences to be found EVERYWHERE...! Cause otherwise you're labeling each and every mortal on the planet an iSheep... S'Day! Give it a rest. 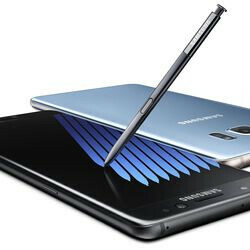 Note 7 is already Samsung biggest flop and I blame Samsung for not taking their QC seriously. Now it not only affects their bottom-line but each and every one of its users. Even with the new replacement, will the airline allow its use?? Guess we will find out soon enough. Or just actual news being reported. Unfortunate... The bigger they are, the harder they fall... Whole media is onto Samsung now... The Verge, Daily Telegraph, New York Times, Bloomberg, you name it... Heck, even some automotive blogs are focusing on the matter now... If you don't feel bad about Samsung... Then you've no sympathy to speak of... Lets hope they get out of this mess soon... And no one get hurt from exploding batteries... S'Day! Yet all the iPhone explosions were brushed off, sure articles where written, but with this people are going full on paranoid mode? the heck? Not defending Apple, but most of the Apple incidents were due to people using third party charges; the gentleman in Atlanta, it was later discovered he was using a third party wall charger. Unlike Samsung, these are not one, or ten battery explosions, more like seventy and counting. By the way, using the supplied charger. Really? Now this is out of proportion. Mob mentality is only getting worst as the days pass by. This is way way out of proportions, it is a university, they should easily be able to calculate and figure out that they are more likely to get struck by lightning then getting a phone that explodes. It shouldn't happen, no. But even so, lets ban lightning as well! :P Considering how many times Apple phones have burned and its been brushed off, it would seem like Apple really is the media's darling. Seriously? 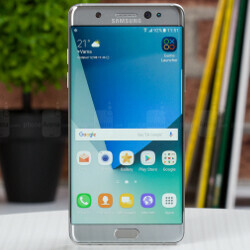 Note 7 was released on August 19th and there are over 70+ overheating reports alone in the US. I'm curious if you can match that number with iphones. Please point to where you found these numbers, the numbers I see everywhere is 35, and even with 70 units, i we still are below 0.1 % so yeah, lightning is still more likely, just saying. "Considering how many times Apple phones have burned and its been brushed off, it would seem like Apple really is the media's darling." OMFG.......would you people do the math . There have been a total of 10 documented iPhone explosions since 2011. The last two weeks ALONE there have been 40 reported cases of Samsung phones exploding. Stop trying to create a false parallel and admit Samsung f**ked up. I've never seen denial to such a degree regarding a defect where now you are part of the tinfoil team blaming the media. 10 documented? I've seen a good bit more then that, I don't know how many but my point is simply that there wasn't this outrage over them, but this? people are going insane. I am not trying to 'create' anything, so please stop trying to put words in my mouth, I said people are overreacting to an extreme degree, this shouldn't happen, as I already said, but this is way way overreacting. That you call it denial despite what I wrote, seems to indicate you are one of those that are overreacting and screaming from the Apple camp, me? I'm in neither camp and am not defending Samsung one bit, so yeah, that you got that from what I wrote does make me wonder. As for blaming the media? the media is playing a big role in this, I do not see how anyone can deny that, since you are still more likely to get hit by lightning then get a phone that blows up...just saying. You're right, I remember how quiet everyone was about antenna and bending issues with iPhones... Oh wait. Hypocrisy at it's finest, also - those issues didn't really endanger anyone. Any li-ion battery device can explode/catch fire, with the Samsung's it's a design fault. A quick summary from an article of 2009, gizmodo has it currently. in France • 26-yo security guard Yassine Bouhadi • French teen Romain Kolega's • 80-yo Roland Cauffman • The same happened to Valentine, a Parisian girl who claims her iPhone • Unlike Valentine, supermarket manager Fabrice Lerebourg • Frank Benoiton says his iPhone 3G's screen broke suddenly • 40-yo Olivier Milano said that his iPhone "self-destructed" • 20-yo Edward—in Marseille—says his screen broke too • A teenage couple said that their iPhone's screen did the same after doing a "crackling" sound. 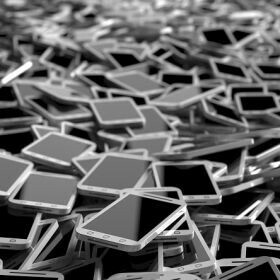 • Finally, a cellphone seller working for SFR claims that he has seen two iPhones imploding. Specifically this was the battery expanding/exploding. These are mixed together yes. But this is just what a very quick search can find, and I'm sure some will say the sources are bad or such, which you know.... And again, I never said it was alright, I said same thing has happened to iPhones over the years, and reaction never became as insane as this, that is it, so calling me a Hypocrit is very amusing. Since I am specifically talking about the reactions, not defending Samsung, not saying it is alright it happens. But the chance of this happening is still silly low, hence the reactions seem insane to me. You seem to be very confused. Most of those are differnt iPhones, over different periods. You can make a similar list with Sammy phones. Hell, just this last week 3 S7 edges have burnt up. 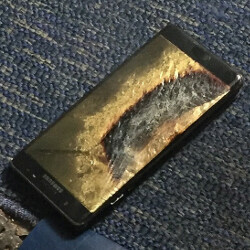 So time to get off your high horse and realize the Note 7 issue is something far differnt than the random battery failure that happens to all rechargeable devices. Except...its several different iPhone devices with same issue, that is significantly worse then one type of device with a flaw, same flaw over several devices? And again, please read what I wrote, and stop accusing of high horse and such, I already repeatedly state it is not acceptable, and it is the reaction i'm commenting. Same issue, as in batteries are occasionally failing. Yeah, got it. Again, not even remotely on the same level as the Note 7. It's a good thing this university banned it. More placed of business should follow suit, along with a full on ban from all airplanes. Sammy will be ok.... but the Note 7 is officially dead. Even your linked article is unclear on what 'exactly' is happening, they are doing more detailed examination to find out, but to make sure nothing happens to consumers, IF it happens, again, final conclusion on why it is happening is not there. However they are choosing to recall rather then chance the if. Yet people seem to gloss over this, that Samsung goes, "We made a mistake, and to make sure customers aren't hurt, we do a recall." recalling 2.5 million phones over a according to article 35 phones burning. Again, a very low chance of it happening, and there's no one stating it will happen, but it 'can' happen. But again, with current reports, rate is still low. Heck it might only be a single batch of phones, no one knows yet. Yet Samsung gets flak for making sure consumers aren't affected, yet Apple can go on with same problem with battery over several idevices and not take flak? So yeah, I understand it perfectly fine, I am, again, pointing out that the reactions are going overboard. So you think that 40+ people have been struck by lightning in the last two weeks? Sorry, buy the ratio of phones exploding to lightning strikes is substantially higher, especially with rogue units still in the wild. THAT'S the reason this is an issue. 2 or 3 phones a year is one thing, a damn platoon of phones is another. It has nothing to do with "camps" and everything to do with false equivalence. Every time something goes wrong with an Android OEM it's always "What about Apple?" for some odd reason. What about them? What do they have to do with Samsung phones combusting? Why are they the Android scapegoat every damn time? Why can't people hold Samsung accountable? Etc....... As for the media.......that's classic tinfoil talk. They're reporting on things as they occur, not making crap up. I'm actually shocked at how much attention it's getting, considering it's not Apple. It requires an OTA update that requires owners to click yes to install it. Owners who won't return their phone will also refuse to install an update. We don't want automatic updates that can remotely wipe data or make it inaccessible.